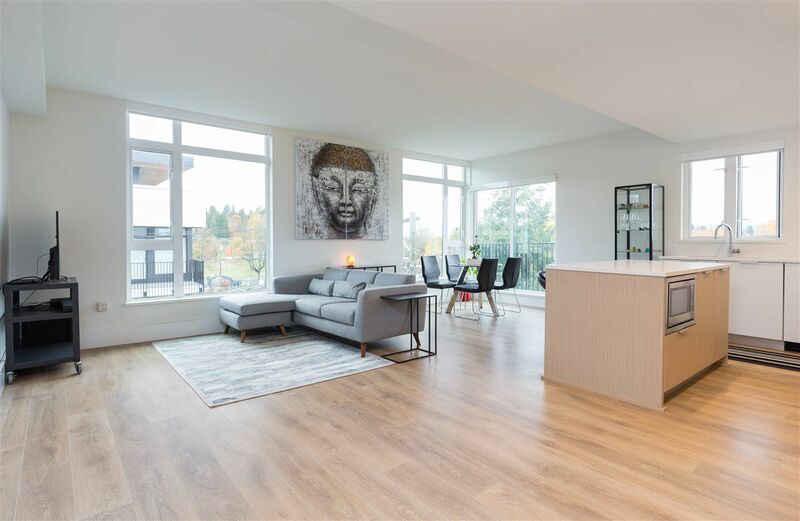 Rarely available in Little Mountain, this SPACIOUS & BRIGHT 2 bed, 2 bath & den corner home at Eastpark by Boffo on Main St is very desirable to trendsetters to down-sizers. This North West facing home features large open living space, 9' Ft ceilings, floor to ceiling windows w/ mountain & park views, large open kitchen featuring high end Bosch appliances incl, gas range, double fridge & freezer, tons of pantry storage, integrated cabinetry & two balconies totalling 203 sqft for all your outdoor gardening & BBQ needs. Master Bedroom has a walk-in closet & a double vanity ensuite. Walking distance to all that Main Street has to offer!